Saltlover is native to Eurasia and was introduced into North America in the early 1900s. 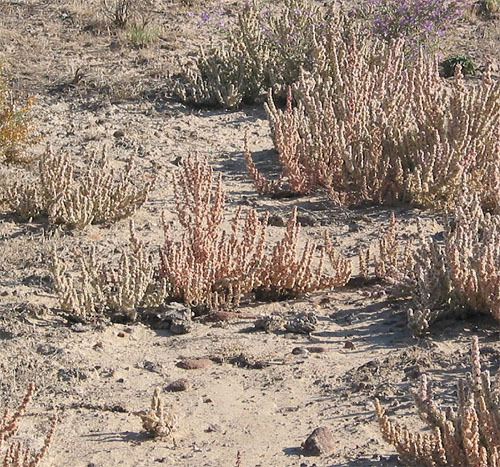 It invades waste areas, roadsides, and dry rangeland where it displaces desirable vegetation. It is also poisonous to cattle and sheep; several deaths have been reported. 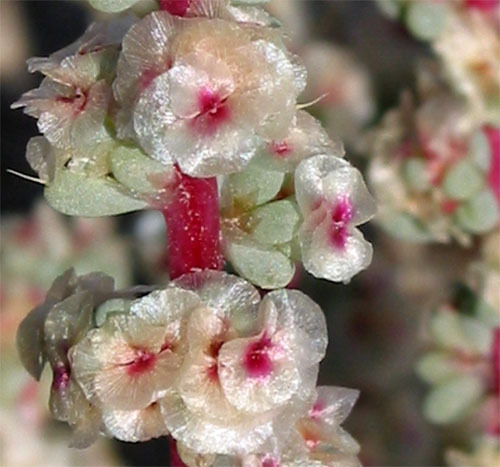 The flowers of saltlover are pink and/or white, 2-4 mm wide, and are clustered on a spike. A key characteristic of this plant is that it has oblong or linear leaves that are fleshy. 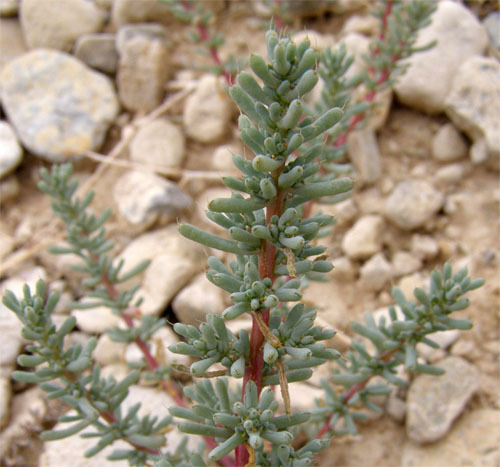 The leaves are blue green in colour and have single spine at the tip. The highly branching stems either creep along the ground or grow upright, up to 60 cm.